Late last year, I took some time to embellish a few pages in different Gratitude Journals I was going to use in 2017. Of all the travelers notebook sizes there are, the Field Notes and A6 sizes are my favorite. 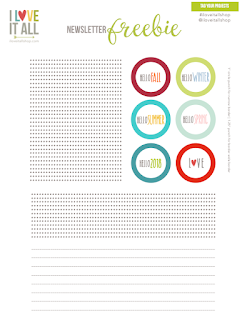 This Gratitude Journal is a Field Notes sized notebook and is really such a perfect size for me. 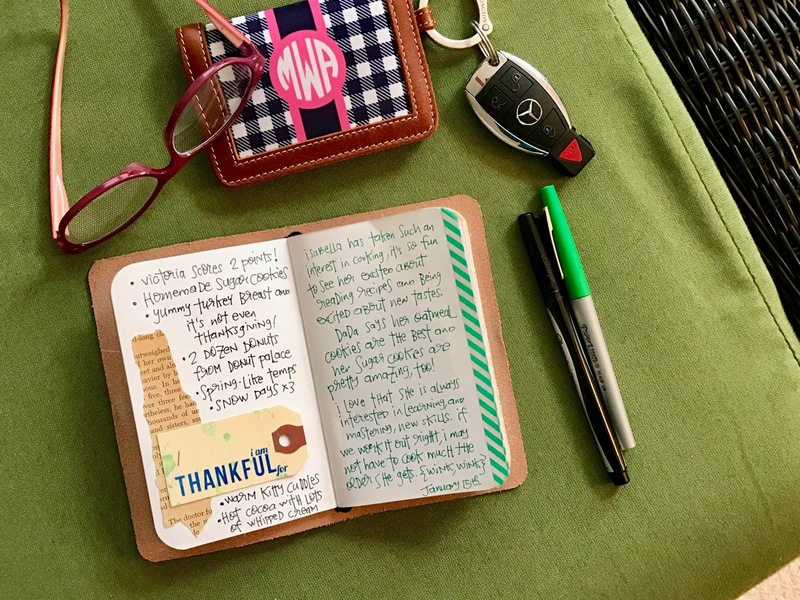 I love that I can toss it into my purse for on-the-go journaling, but it's still big enough to allow me to journal as much, or as little, as my heart or time allows. I used scrapbooking supplies and added a vintage book page scrap and stamped shipping tag along with some washi tape...just enough of a starting off point to document my thankful thoughts. 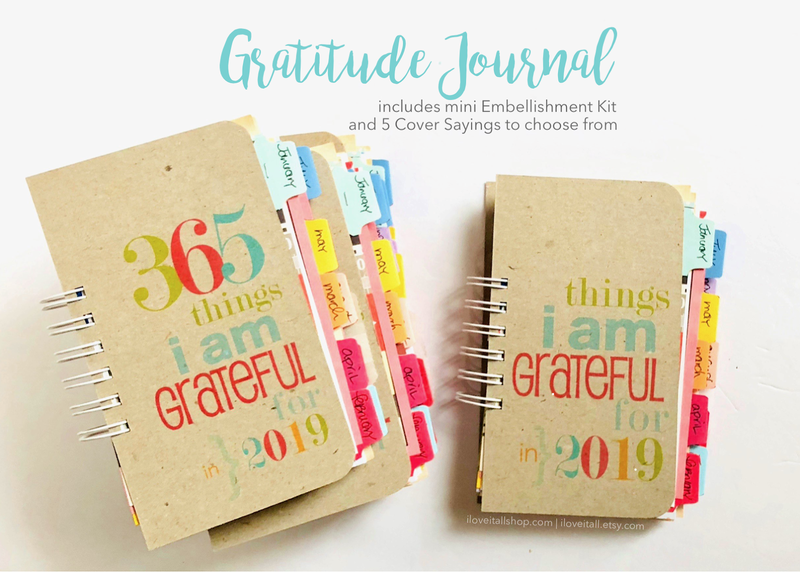 I like embellishing pages beforehand so that when I'm out and about, I can flip through my journal and decide which page I'll use to document my grateful moments for the day. While the girls were taking their turns at piano practice, I took that time to journal. 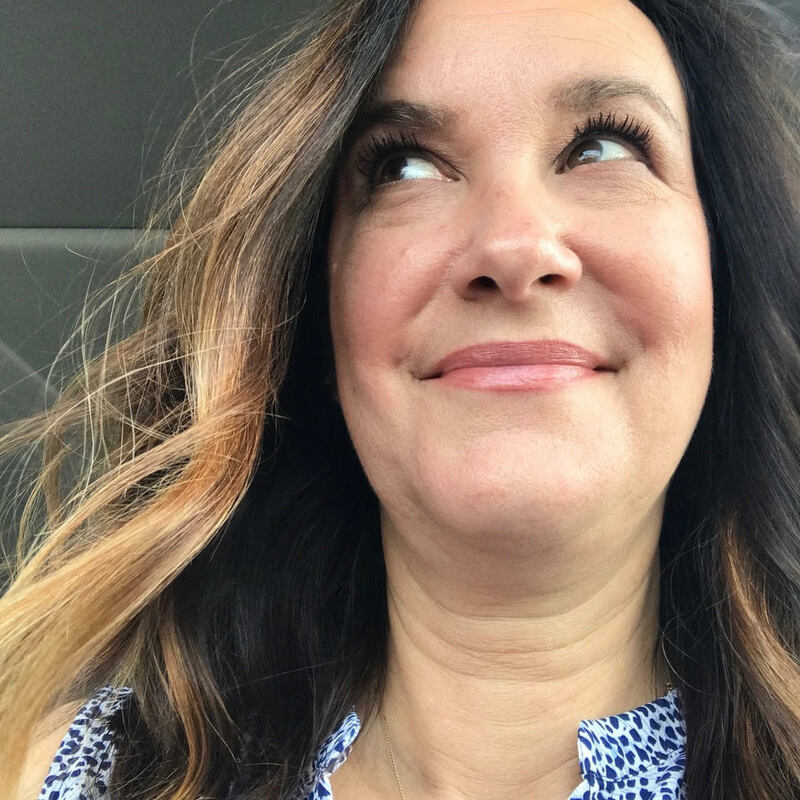 On the left side of the page, I just bullet listed some highlights from the past couple of weeks, kind of a roundup of good moments and feelings. The right side the page is also a roundup of sorts, in more detail though, of Isabella's growing interest in cooking and recipes. Find more Gratitude Journal inspiration posts for your own journals. 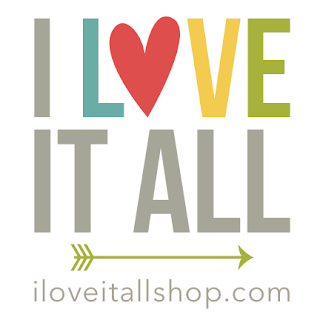 Shop for Gratitude Journals at I Love It All.